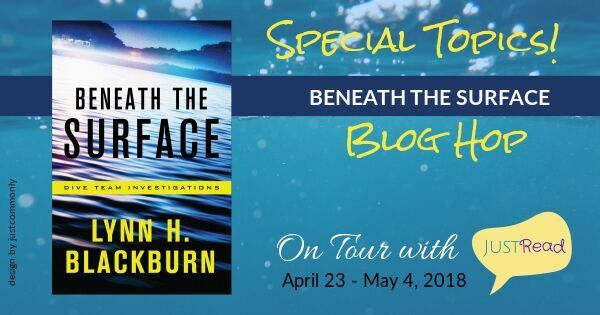 I'm so excited to be part of the blog tour for Beneath the Surface! This is such a great kick-off to the Dive Team Investigations series. Find out a little more about the pick up, enter to win your own copy through the Rafflecopter link, then scroll down for an interview with Lynn H. Blackburn. After a harrowing experience with an obsessed patient, oncology nurse practitioner Leigh Weston needed a change. She thought she'd left her troubles behind when she moved home to Carrington, North Carolina, and took a job in the emergency department of the local hospital. But when someone tampers with her brakes, she fears the past has chased her into the present. She reaches out to her high school friend turned homicide investigator, Ryan Parker, for help. Ryan finds satisfaction in his career, but his favorite way to use his skills is as a volunteer underwater investigator with the Carrington County Sheriff's Office dive team. When the body of a wealthy businessman is discovered in Lake Porter, the investigation uncovers a possible serial killer--one with a terrifying connection to Leigh Weston and deadly implications for them all. Dive into the depths of fear with an exciting new voice in romantic suspense. Award-winning author Lynn H. Blackburn grabs readers by the throat and doesn't let go until the final heart-pounding page. Click here to enter: http://www.rafflecopter.com/rafl/display/7425d38e147/? 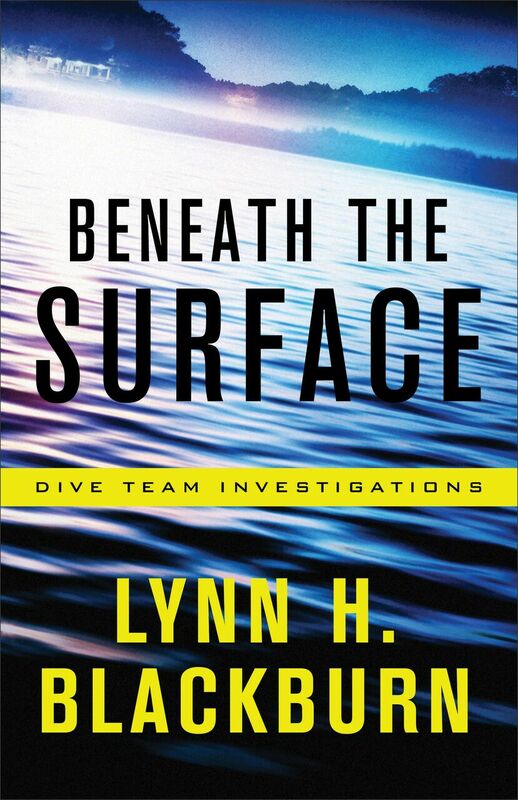 Fiction Aficionado - Did you know this about diving investigators? I’m thrilled to be able to answer questions about the writing of Beneath the Surface and my writing experiences! What was your inspiration for both the setting of your book and the diving aspect of it? Lynn: I was born in western North Carolina and lived there in elementary school and high school. But after I was married and living in South Carolina, my parents lived in central North Carolina for almost two decades, so it’s a place I have never lived but have visited often. There are some beautiful lakes in that area and wonderful people. I thought it would be fun to create a fictional city that is much like the city I live in (Greenville, SC) and add a lake and a tourism industry and then see what happened. An added bonus to choosing central North Carolina is that it’s not far from the location of the real dive team that inspired the series. The Guilford County Sheriff’s Office Dive Team gave a demonstration as part of the Writers Police Academy in 2014. By the time we walked out of the building I knew I wanted to write this series. What is it like going from writing Love Inspired Suspense to writing a series? What do you like about each? What is difficult about each? Lynn: The transition from LIS to a series has been relatively smooth. As a reader, I prefer series to stand-alones so I was thrilled to be able to try my hand at writing one. The biggest challenge in the beginning was—the beginning! Because LIS books are so much shorter (55K words verses 90K words) you have to begin with a bang and never stop! In the Dive Team Investigations series, I had to keep reminding myself that I needed to take the time to ground my readers in the story world and in the main characters inner worlds before I started messing with them too much. I’m naturally long-winded so I adjusted quickly! I think LIS is fantastic and I’m thrilled to write for them. I’m hoping to sell a third book to them soon. It’s a wonderful way for a writer to break into the romance/romantic suspense world. You learn to write tight – you have to tell a compelling story and create realistic and engaging characters that readers will want to spend time with – and there’s no room for any extra words. And that’s a skill every writer should have! You also learn how to handle edits and how to write on a deadline. Also critical skills for writers. An added bonus is that LIS readers are awesome. I’ve received some of the kindest letters from readers of my LIS books! The hardest part about writing the trade-length series for Revell is also the part I love the most—it’s longer! It takes longer to write and longer to edit, but I also have more room to develop the main characters and the secondary characters. There’s room for a more complex plotline and more romance. As a reader, I love a complicated plot that keeps me guessing and a romance that leaves me swooning, and that’s what I’m trying to create for my readers. I know Lynette Eason is your mentor. How has she helped you as an author? And who else has influenced you as a writer? Lynn: Yes, Lynette Eason is my mentor and friend. In fact, as I type these words she’s sitting beside me in a Starbucks that’s in between our houses. We live about five miles apart and meet at local coffee shops quite often. We brainstorm and write. I can only imagine what some of our fellow patrons think about our conversations. “Well, if you kill him this way . . . ” is guaranteed to raise a few eyebrows! We met in 2012 and she’s helped me with everything from brainstorming ideas to untangling convoluted plot threads to talking me off ledges when I’m convinced I’m a hack and no one will ever want to read my books. She’s encouraged me to enter contests and introduced me to my agent and editor. There’s really not much she hasn’t helped me with! I’m eternally grateful for the way God put her in my life! As for my influences—I’m an avid reader and I read broadly growing up. I read just about anything except erotica or horror. Classics, thrillers, romances, literary works, historicals, YA, epic family sagas, I love all of it. I don’t think it’s possible to overstate how much a steady diet of beautifully crafted sentences and stories impacted my writing. Within my own genre I’d have to say the biggest early influence was Dee Henderson who, interestingly enough, mentored Lynette. The O’Malley series remains one of my favorites of all time. Disclosure: I received a free copy of Beneath the Surface as part of the blog tour. All opinions expressed are mine. I love hearing about the mentor relationships of authors and how some of my favorites are spending time with newer authors who are sure to become my favorites. Thanks for sharing. It's also great when Love Inspired authors I enjoy reading move to higher page count. I love LIS but I also like getting taken away by a longer read. Thank you for the information on "Beneath the Surface" by Lynn H. Blackburn and for being part of the book tour. I enjoyed reading the Lynn's answers about writing the book and would love the opportunity to read the book. LOL! How awesome is it to just find a fellow friend and mentor a few minutes away? I'm sure tons of brainstorming happening at that Starbucks! Yay! THank you for this interview and for joining the tour! Love that Lynette Eason is your mentor. I'm a fan of her writings! I live in central NC now, and your setting was a pleasure to read. I pictured it being at Lake Gaston or Jordan Lake, only because those are the 2 lakes I know.